Homeowners living in program ZIP Codes as owner occupied residents are encouraged to register online or request a paper application during the 30-day period by calling customer service. Only one Registration per house. The person registering and answering the EBB qualification questions must be an owner of record and live in the house. As an accommodation to individuals that may have some need to have a third-party representative complete the EBB Program Application, a Registration Authorization Form is provided for your use. Once the qualification questions are complete, if your house qualifies you will complete registration with your contact information. We highly recommend that you authorize EBB to send text alerts when important email communications are sent. We added this feature to ensure EBB information reaches homeowners and doesn't get lost in "junk" folders. No incomplete, early, or late registrations will be considered. 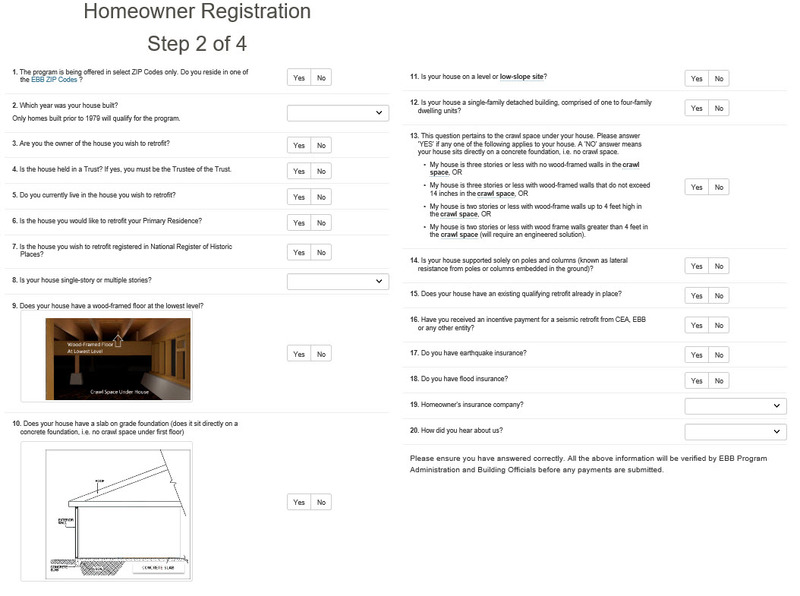 Once homeowner registration closes, an electronic system will randomly select homeowners in each city. In early 2019, all homeowners who successfully registered for the 2019 EBB program will be notified by email whether they have been selected to become a Participating Homeowner or whether they have been placed on the wait list. Throughout the program, EBB will include people from the wait list if spaces become available. Being placed on the wait list, however, does not guarantee eligibility for future EBB incentive payments.